Ms Peng is a very happy single mother of her 16 year old adopted daughter. She is one of the beneficiaries from the Pigs for Poverty Project in 2017 and was among 70 families who each received 2 pigs. 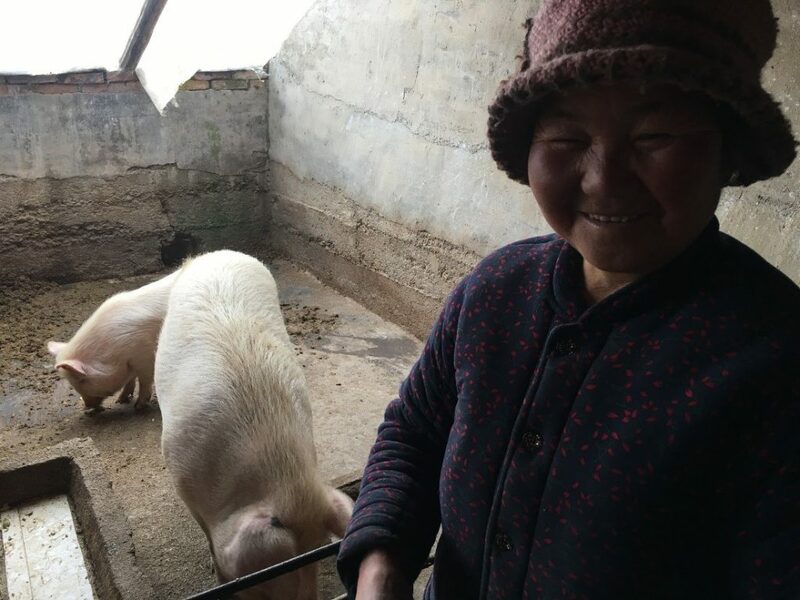 Ms Peng and her daughter were struggling to survive financially and then the pig project came to their village 12 months ago. They received two pigs from the Captivating Pigs for Poverty project and learned all about how to raise pigs to breed and the best time to sell the piglets. 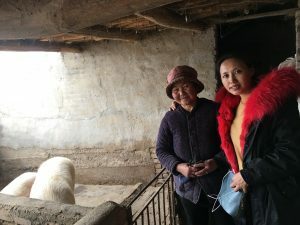 Ms Peng was recently visited by Carrie [project manager] to see how her small pig business is going. The photo below is Ms Peng with her breeding pig and her remaining piglet still to sell. Carrie is pleased to see the positive change that Ms Peng has been able to implement in her life.